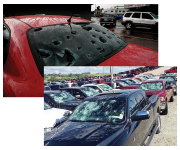 Hail can be a serious threat to auto dealerships resulting in costly insurance premiums and damage to inventory. Alberta is prone to extreme weather. Seasonal hail has the potential to wreak havoc on vehicles resulting in significant expense and loss for dealers. 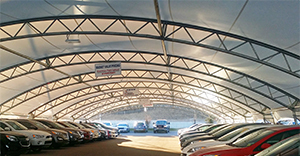 WSSL created Car Lot Canopies as the proactive solution to reduce exposure to the elements while protecting your bottom line. 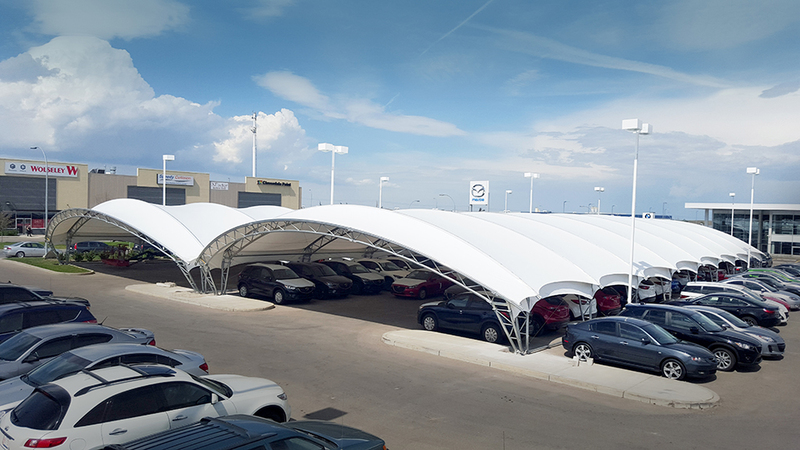 Car Lot Canopies are designed and manufactured to provide protection for auto dealerships and other parking facilities housing large numbers of vehicles. 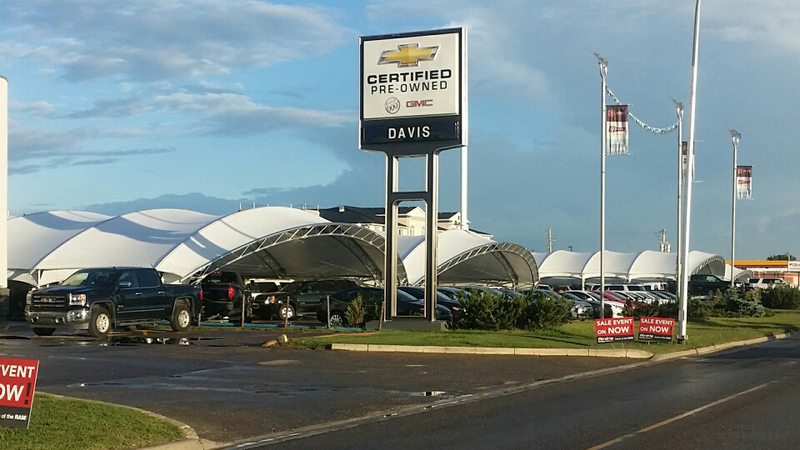 Car Lot Canopies significantly reduce hail damage to inventory while shielding from the elements year-round. 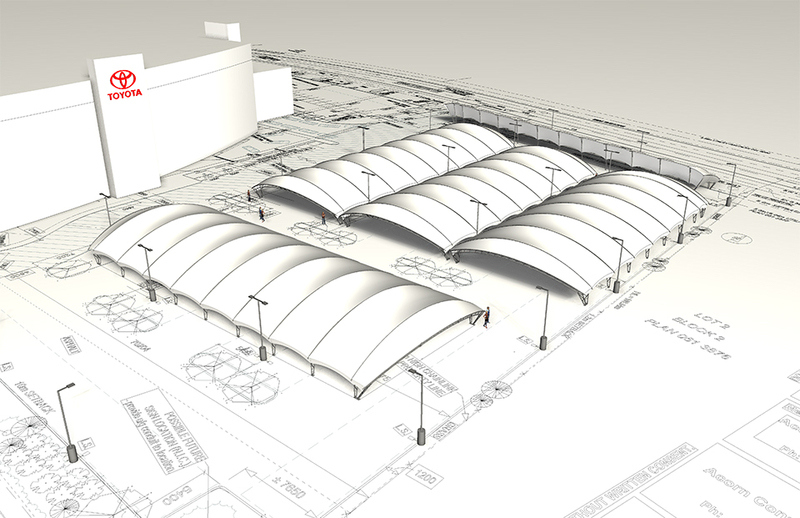 using anticlastic (double curvature) membrane echnology. 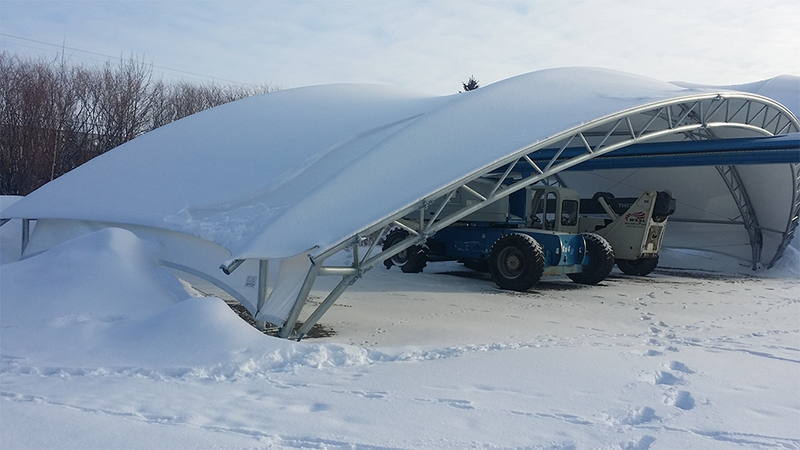 Under the tough and resilient membrane, the structural steel framework supports snow, wind and other loading for year-round protection. 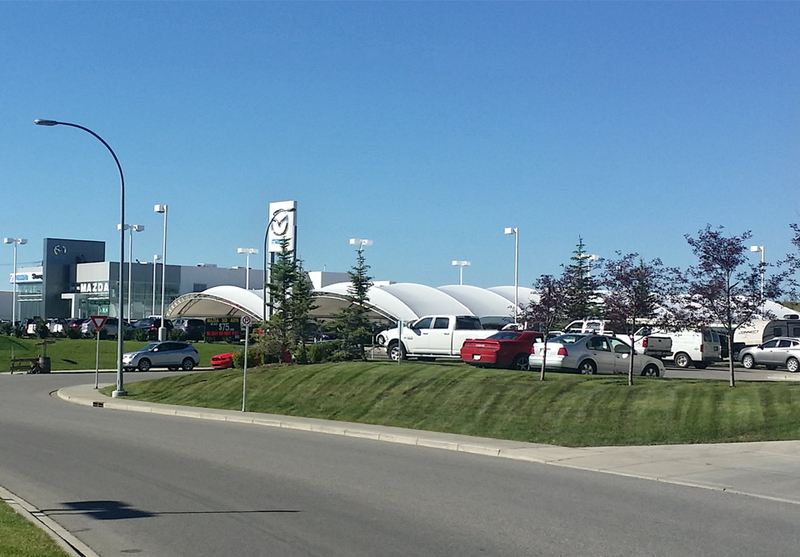 Modern and attractive, Car Lot Canopies are designed to meet the layout of each auto dealership. 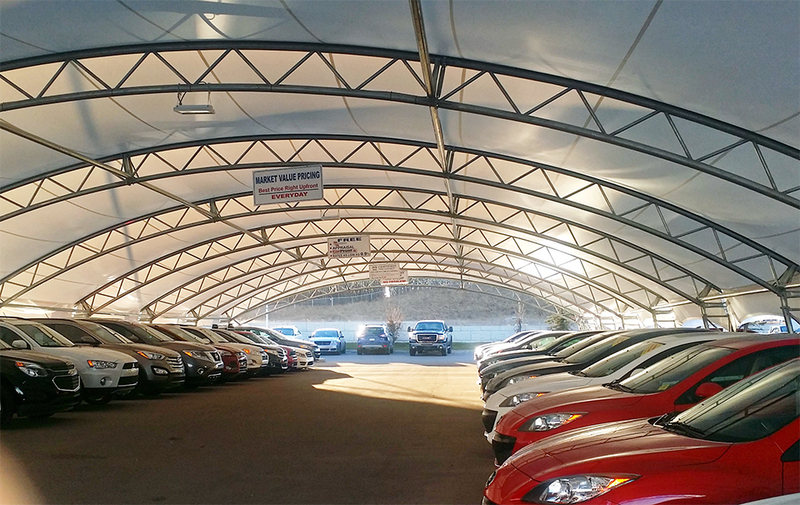 Aesthetically the Car Lot Canopies enhance the appearance of any dealership or car lot with the added functionality of providing shelter and comfort for your customers and staff no matter the season. 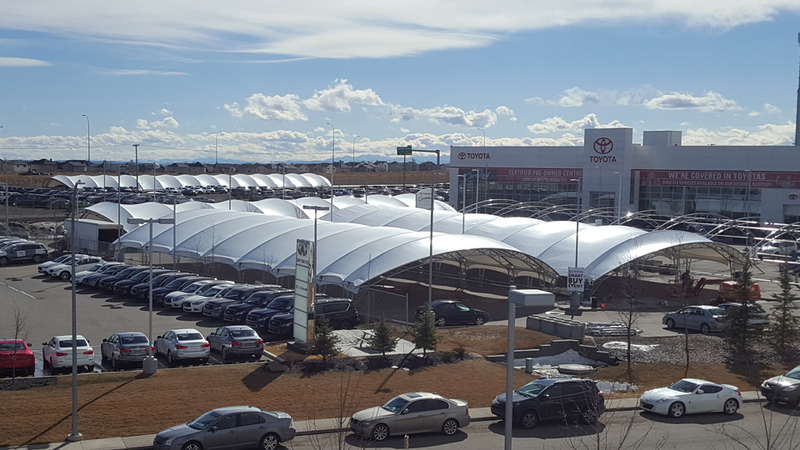 Car Lot Canopies also provide time saving benefits for dealers as there is minimal clearing and cleaning after hail, rain or snow. Vehicles remain show ready year-round. 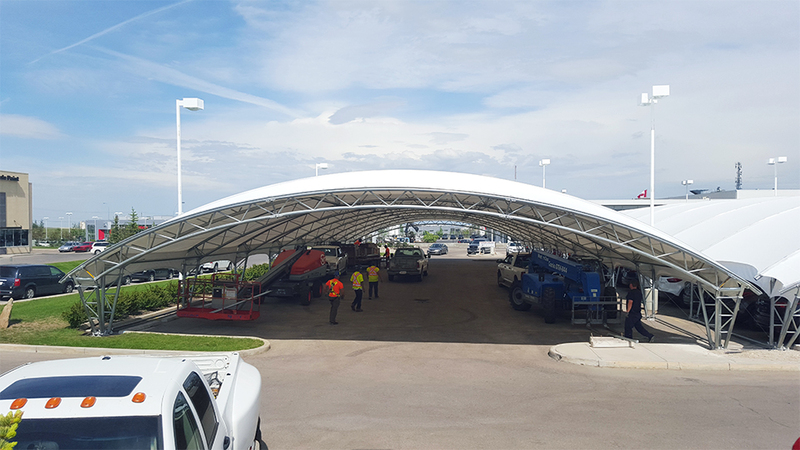 Professionally installed, the Car Lot Canopies are low maintenance and can be removed and reinstalled with minimal surface disturbance. 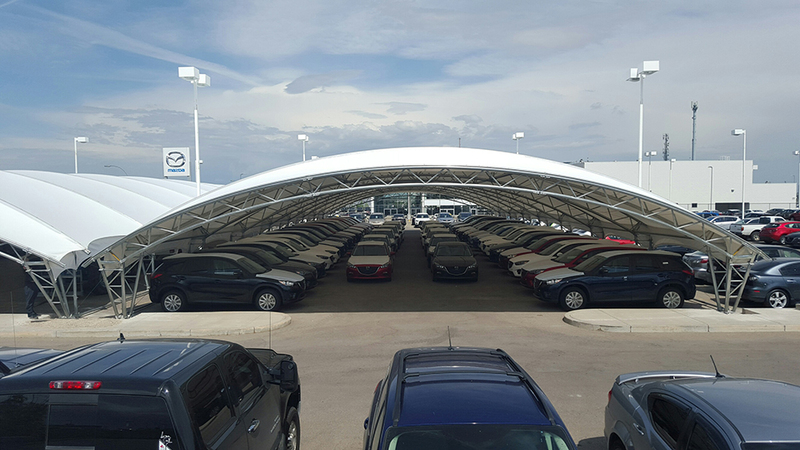 Who Uses Car Lot Canopies? "What impresses me about WSSL is their customer service and experience.They offer the right product at the right cost with the after care. No “ifs ands or buts”. Hassle free. 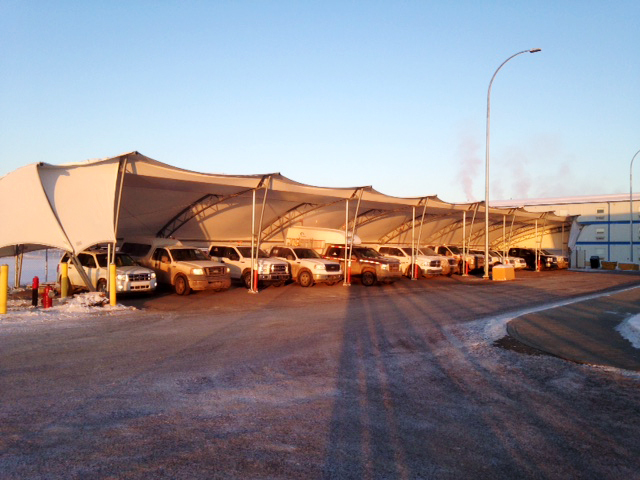 WSSL’s Car Lot Canopies are designed and engineered for function. 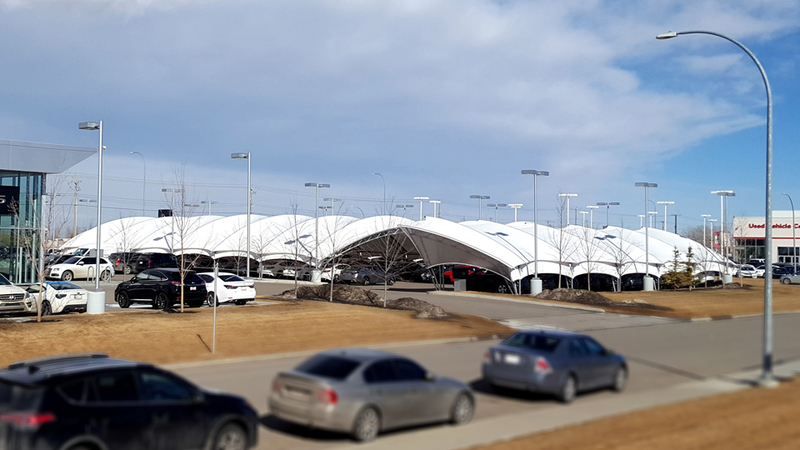 The multi-purpose structures protect our inventory from hail and other elements year-round. They are aesthetically appealing as they are designed to match the look of the dealership. Functional and attractive they are well worth it."